“We’ve been awaiting this decision for months. Short version is, Judge Townsend has substantially reduced the fees that Carlyle, Liberty and Mountain Water put forward as a function of our litigation. We’re talking millions of dollars – real money," Engen says, adding that he could not be more specific at the time of our interview. He made that announcement to almost 180 people attending Monday’s City Club Missoula public forum. 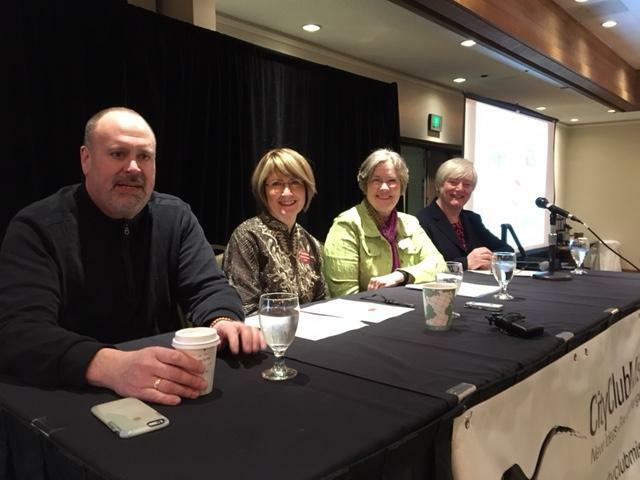 He joined Missoula County Commissioner Jean Curtiss and University of Montana President Sheila Stearns to discuss the challenges and goals their organizations face. Engen says the city has tackled serious challenges over the past several years, including improving the quality of sexual assault investigations. He also rattled off a list of goals he says would benefit Missoulians. For starters, Engen suggested making Missoula College tuition free. He also asserted that everyone has a right to have a place to live and access to transportation, among other things. Engen notes it will take a cohesive strategy, or as he puts it, 'intent' to plan for these goals. "The cost of 'intent' is intense. The cost of doing nothing is much greater. If we don't make investments today, we never get ahead, we never move forward. The reason we invest in this stuff to make a difference down the road," Engen says. Edward O'Brien: Talk to some Missoulians and they just say it's getting more and more expensive to live in Missoula. Where does it stop? "It does get more and more expensive to live in Missoula. It gets more and more expensive to live anywhere. We do, however, live in a community where people, I think, continue to be willing to make investments. So, we have lots of private investment going on, to the tune of about $250 million dollars last year of private investment. We think we'll see that again this year. There's about $500 million dollars in private investment happening on Front Street, I think, over the next five years. All of that goes to tax base. Fundamentally, we need to grow our tax base or revenue sources, right? They come in two forms for us: property taxes and fees. Can we start to take advantage of the three million folks who visit Missoula every year? Are we doing anything about that?" "Here's a notion: how do we give people an entree into a university system? One of the things that other communities are doing are figuring out ways to manage that tuition for two year colleges, a place where folks either get a sense that they're going to be okay in college or they're gonna get an associates degree, or they're gonna move on to something else. That might be a fairly de minimis place to begin an investment in student success, right? And again, if we can figure out a revenue stream around that, I don't pretend to have that answer, but if you look at a community like San Francisco, they figured that out for residents, maybe we can too." University of Montana President Sheila Stearns had to leave Monday’s forum before she could offer a response to Engen’s free Missoula College tuition proposal. During her formal presentation though, Stearns recapped UM’s ongoing enrollment and financial challenges while asserting the university is still strong, solid and taking a strategic approach to stabilizing and increasing enrollment. Missoula County Commissioner Jean Curtiss says there are 28 polling stations across the county and all use technologically dated equipment that will have to soon be replaced. Curtiss says that will cost close to $700,000. The county is working on budgeting options to pay for that. One option may be to reduce the number of polling places in Missoula County. Missoula Mayor John Engen received an important email a little after 5 o’clock Tuesday afternoon. It was from Harry Schneider. "When we win, Harry always says the same thing in all caps: ‘BINGO’. So I open the thing up and it was a ‘BINGO’." 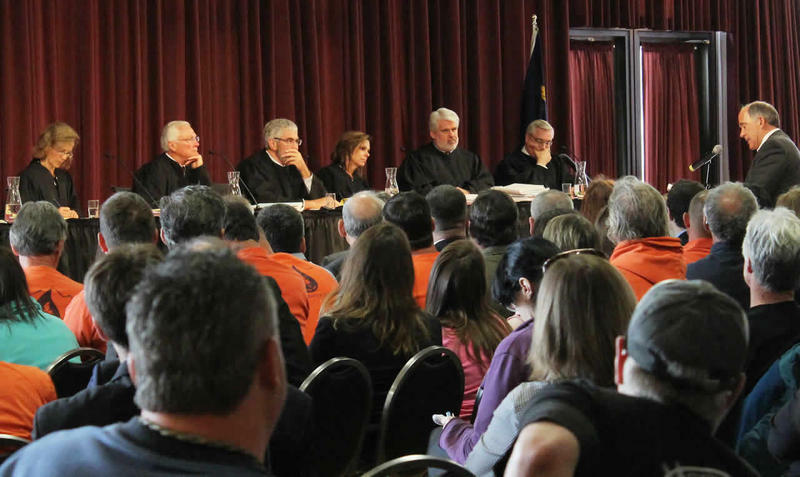 Montana’s Supreme Court today heard arguments in a case that will determine the future of Missoula’s water utility. 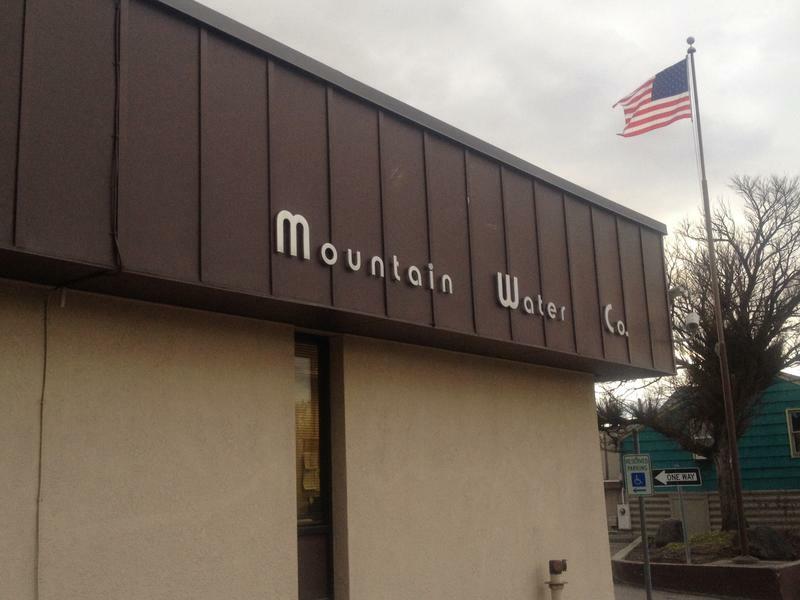 The City of Missoula first tried to take ownership of Mountain Water Company by condemnation in the 1980s. Its current attempt that the court is now considering started in 2013.